The signature of John Hancock on the Declaration of Independence is the subject of much debate. The following images show a close-up the signature of John Hancock and the size, proportion and position of the signature of John Hancock in relation to all the other signatures on the Declaration of Independence. Note that the signature of John Hancock is the top and center of the signatures and stands out as being big, bold and brave. John Hancock was 39 years old when he signed the Declaration of Independence. Signing the Declaration of Independence was a very risky undertaking. 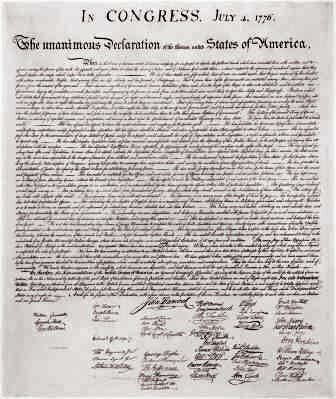 The signature of John Hancock on the Declaration of Independence betrays none of the doubts which would have perhaps would have dogged some other men. 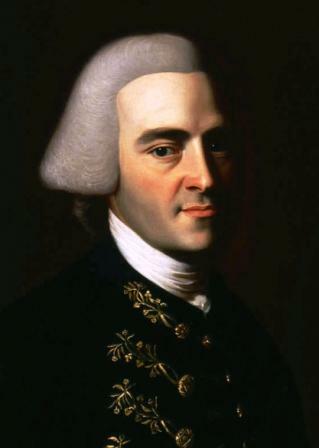 Many of the above interpretations do seem to characterize some of the personality traits of John Hancock. But what was he also trying to convey with the signature of John Hancock? The following are only theories but are interesting points of debate.